Imagine for a moment the following scenario: President Obama holds a press conference and announces, “Given that my party has lost control of both houses of Congress, and that Constitutionally any nomination that I might make requires the Senate’s approval, it makes sense to forego a nomination at this time and allow my successor to act.” Would that be unconstitutional? I don’t think so. It might be politically irresponsible—not to mention utterly inconceivable—but it would be hard to twist it into a palpable violation of the Constitution, even if it meant postponing Scalia’s replacement an entire year. The Constitution only requires that the legislative branch meet once a year, for goodness sake, and through the end of the nineteenth century Congress was in adjournment for nine months in every odd-numbered year, so the possibility that a seat could remain vacant for an extended period was ever present. I’m still occasionally struck by the irony that the person who has helped me most in thinking through the nature of history wasn’t himself a historian. But the irony that C. S. Lewis has frequently been my guide is more apparent than real. Lewis was a scholar of ancient and medieval literature, and that gave him both an appreciation for the past and a language for expressing it that few historians have equaled. Lewis rarely taught on literary works less than half a millennium old. Of necessity, he spent much of his career trying to convince skeptical undergraduates that they should care about the world before they were born. Few scholars have been more adept in exposing the arrogance that underlies “chronological snobbery” and the blindness that presentism perpetuates. But he was also a master of metaphor and story, and he understood something we academics are prone to forget: namely, that when it comes to conveying complex truths, word pictures are often more effective than abstract theorizing. Among his many intellectual gifts, Lewis’s greatest may have been his talent for translation, by which I mean his ability to make complicated concepts accessible to broad audiences. It’s been a while since I’ve shared anything from my commonplace book, so I thought I’d pass along a couple of passages from Lewis that I copied just this morning. They come from his short book A Grief Observed, a set of reflections that Lewis recorded as he was dealing with the death of his wife Helen. I listened to A Grief Observed on tape while driving to see my father over spring break, and then I re-read it in hard copy once I returned to Wheaton. It’s not a fun read, but it’s honest, convicting, and ultimately encouraging. I recommend it. Surely most of the readers who pick up A Grief Observed aren’t thinking about history at all. They open its pages to see how Lewis dealt with death, perhaps to think about the ways that loss can challenge faith. That’s as it should be. But hidden early in Lewis’s “map of sorrow” are ruminations that spoke to me as a historian, for they wonderfully capture a challenge that I face every day. When I ask students what causes them to admire a particular history book or history teacher, what I hear most commonly is that the book or teacher in question makes the past “come alive.” This, then, becomes my challenge if I want to connect with them. What they find engaging, I should strive to model. Unfortunately, it’s impossible. Only God resurrects the dead. What do we really mean when we say that a particular work of history makes the past “come alive”? Sometimes all we mean is that it entertains us, but often we have in mind much more than that. With the historian as our guide, we have the sensation of traveling into the past; we imagine ourselves in another time. Soon the historian fades into the background and we observe the drama in solitude, directly observing the historical figures that the historian has made to “come alive” for our benefit. Yes, that sounds very well. But there’s a snag. I am thinking about her nearly always. Thinking of the H. facts—real words, looks, laughs, and actions of hers. But it is my own mind that selects and groups them. Already, less than a month after her death, I can feel the slow, insidious beginning of a process that will make the H. I think of into a more and more imaginary woman. Founded on fact, no doubt. I shall put in nothing fictitious (or I hope I shan’t). But won’t the composition inevitably become more and more my own? The reality is no longer there to check me, to pull me up short, as the real H. so often did, so unexpectedly, by being so thoroughly herself and not me. Slowly, quietly, like snow-flakes—like the small flakes that come when it is going to snow all night—little flakes of me, my impressions, my selections, are settling down on the image of her. The real shape will be quite hidden in the end. Ten minutes—ten seconds—of the real H. would correct all this. And yet, even if those ten seconds were allowed me, one second later the little flakes would begin to fall again. The rough, sharp, cleansing tang of her otherness is gone. What a remarkable illustration! And how does this help us to understand the body of knowledge we call “history”? History, as John Lukacs puts is, is not the past itself but the “remembered past.” And just as with Lewis’s memories of his late wife, the past as we remember it will always bear an imperfect resemblance to past reality. We can magnify the disparity through sloppiness or dishonesty, but even in our best moments—when we labor to recreate the past with the utmost integrity—we always fall short. Like Lewis, we can strive to immerse ourselves in the facts, we will (hopefully) purpose to invent no details, but the necessity of selecting, grouping, and interpreting the facts—figuratively breathing life into them—inescapably remains. This means that to some degree we always remake the past subjectively. “Little flakes” of us are perpetually, inexorably settling down on the past to obscure its real form. 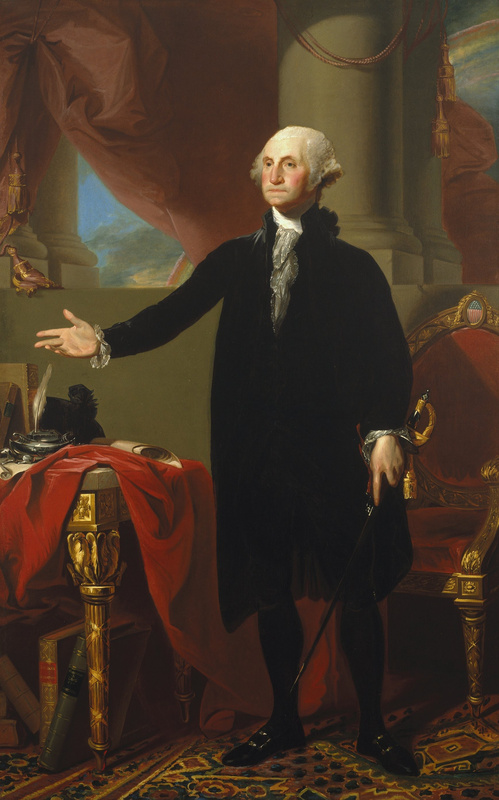 So what would George Washington think about the 2016 presidential campaign? There can be no doubt: he would be horrified and fearful for the future of his country. I’ve promised to share words from the past from time to time that might be relevant as we make sense of this year’s contentious presidential campaign. 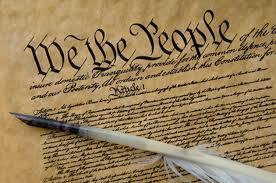 The point is not to ask “What would the Founders do?” (WWFD) and then do likewise. This kind of appeal to the past is what Harvard historian Jill Lepore calls “historical fundamentalism,” and although I find her condescending tone grating, I agree with her basic point. The Founders have no automatic moral authority, and it is actually a form of idolatry to treat them as if they do. And yet, at its best the study of the past can be “a conversation with the dead about what we should value and how we should live.” Apart from sheer arrogance, indifference, or self-satisfaction, why wouldn’t we want to enter into that kind of dialogue? The passage below comes from George Washington’s so-called “Farewell Address,” an announcement that he released in September 1796 to announce that he would not accept a third term as president of the new nation. As you read, keep in mind that the members of the Constitutional Convention who had gathered in Philadelphia nine years earlier had not anticipated that formal political parties would come to be permanent fixtures of the American political landscape. Nor would they have welcomed that prospect. 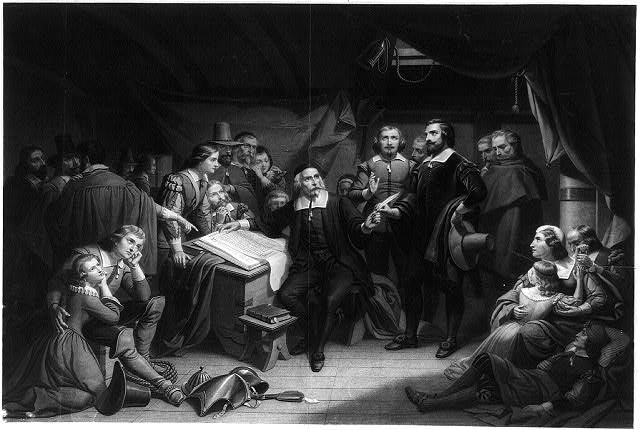 Though they had accepted the inevitability of informal, shifting coalitions in their colonial legislatures, they were suspicious of leaders who sought to solidify factional boundaries and make them permanent.
. . . Let me now take a more comprehensive view, and warn you in the most solemn manner against the baneful effects of the spirit of party generally. This spirit, unfortunately, is inseparable from our nature, having its root in the strongest passions of the human mind. It exists under different shapes in all governments, more or less stifled, controlled, or repressed; but, in those of the popular form, it is seen in its greatest rankness, and is truly their worst enemy.
. . . The common and continual mischiefs of the spirit of party are sufficient to make it the interest and duty of a wise people to discourage and restrain it. It serves always to distract the public councils and enfeeble the public administration. It agitates the community with ill-founded jealousies and false alarms, kindles the animosity of one part against another, foments occasionally riot and insurrection.
. . . There is an opinion that parties in free countries are useful checks upon the administration of the government and serve to keep alive the spirit of liberty. This within certain limits is probably true; and in governments of a monarchical cast, patriotism may look with indulgence, if not with favor, upon the spirit of party. But in those of the popular character, in governments purely elective, it is a spirit not to be encouraged. From their natural tendency, it is certain there will always be enough of that spirit for every salutary purpose. And there being constant danger of excess, the effort ought to be by force of public opinion, to mitigate and assuage it. A fire not to be quenched, it demands a uniform vigilance to prevent its bursting into a flame, lest, instead of warming, it should consume. 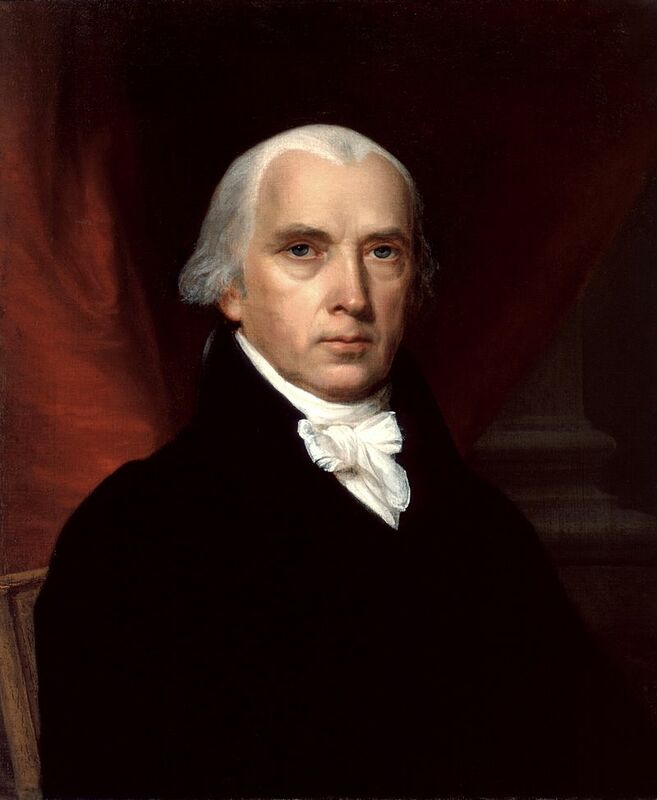 Some prominent members of the founding generation–James Madison, most prominently–would come to see that permanent political parties could in fact serve a positive role in restraining the government from tyranny, and certainly today’s parties would claim to do so (at least when they’re out of power). And yet there are aspects of Washington’s description that still sound timely. I’d say that today’s parties do their fair share of agitating jealousy and kindling animosity, wouldn’t you? The question for us is whether we should be following Washington’s advice to do all within our power to “mitigate and assuage” such poisonous partisanship. Can seventeen hundred miles of driving by yourself qualify as a personal “retreat”? If so, then I recently enjoyed one. Last week was spring break at Wheaton College, and I took advantage of the time to visit family in Tennessee and Georgia. I’ve now made the trek more than thirty times since moving to Wheaton in 2010. In addition to the pleasure of reconnecting with several generations of relatives, I’ve also come to enjoy the pleasures of the drive itself. As a rule, I struggle with the same impulses when driving close to home, but I enter a different state of mind on road trips. The difference, I think, is psychological. These trips come during school vacations. I’m in less of a hurry. I’m able to relax enough to savor the solitude and relish the opportunity to read (books on tape) and reflect. Relaxing, reading, reflecting—that sounds like a retreat, doesn’t it? Parker Palmer says that your true vocation is not an obligation you strive to fulfill but a natural expression of how God made you. One of the reasons I believe I’m called to be a teacher is that my mind naturally turns toward the classroom even when I’m away from it. And so as the miles passed by, before I consciously realized it I was meditating on the conundrum that defines my vocational life: how to convince inhabitants of our present-tense culture to see—or perhaps, more accurately, to feel—the power of the past in their lives. We are creatures who live in time. 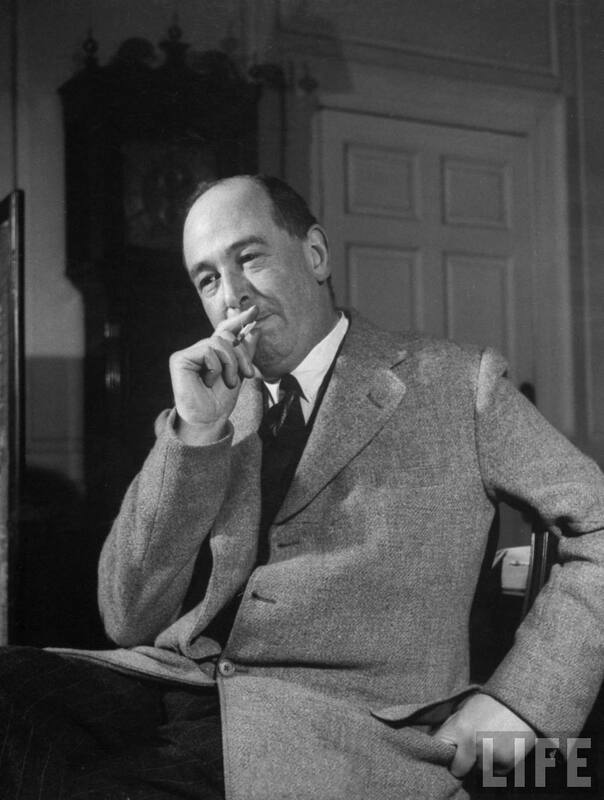 “Time is the very lens through which we see,” as C. S. Lewis puts it in The Great Divorce. Unavoidably, as humans we make sense of our lives retrospectively—from hindsight. And yet Americans are “stranded in the present,” to use Margaret Bendroth’s wonderful phrase, and what is more, we’re content with that soul-impoverishing isolation. We’re not just ignorant of the past. We’re contemptuous of it. This is just as true of American Christians, although we have even less excuse than our secular neighbors. We claim to stake our lives on a faith that, at its heart, is “a vigorous appeal to history,” to quote Georges Florovsky. The core tenets of our faith rest on theological interpretations of historical events. If history is the story of humanity, we believe that God has ennobled that story beyond measure. God Himself set the story in motion. Its central characters bear His image. The Lord of the Universe actually entered into the story, identifying with its characters and walking the earth as one of them. He continues to be involved in the minutest details of the story, an epic that is unfolding according to His design and decree. And yet for the most part we mirror the culture’s debilitating presentism. The answer is surely complicated and beyond our ability to nail down completely. But here are some likely culprits. First, as numerous historians have pointed out, as Americans, we remember our founding as a radical rupture with the past. Our Founding Fathers, we like to say, turned their backs on the Old World and brought something entirely new into being: a “new order for the ages” as those strange Latin words (novus ordo seclorum) declare on the back of our dollar bills. By the middle of the nineteenth century, the view that all but the most recent past was irrelevant had become a truism. “We are the great nation of futurity,” trumpeted the journalist John L. O’Sullivan, popularizer of the catch-phrase manifest destiny. “Our national birth was the beginning of a new history . . . which separates us from the past and connects us with the future only,” O’Sullivan informed readers of the Democratic Review. “We have no interest in the scenes of antiquity, only as lessons of avoidance of nearly all their examples. The expansive future is our arena.” It was an arrogant, ignorant, anti-intellectual, and popular assertion. Second, if we’re evangelical as well as American, we’ve also been trained to be skeptical of most church history. As heirs of the Protestant Reformation, we’re suspicious of tradition and tend to think of the millennium and a half between the time of the Apostles and the arrival of Martin Luther as an enormous black hole. But even that’s probably too generous. The reality is that most of us think of Church history as starting with Billy Graham (if we’re “old codgers”) or even Rick Warren or Joel Osteen. The growth of non-denominational churches has only heightened this sense of disjuncture with the past. A third factor, I suspect, is technological. Relentless technological change conditions us to view anything from the past as inferior. The pace of change, furthermore, compresses our definitions of time. We describe a year-old phone or laptop as being from a previous generation. “How can you get by with such a dinosaur?” we ask. As Bendroth notes, one of the easiest ways to dismiss historical figures is to imagine how lost they would be in our present. As I write this, a popular cable TV company pitches its services by likening consumers without the latest technology to quaint nineteenth century settlers who churn their own butter and spin their own yarn. Looking for a symbol to represent ignorance and backwardness? No problem. The past is full of them. My recent road trip drove home another cause of our present-mindedness: the relentless movement that has characterized American life for much of the past two centuries. This is because, in addition to visiting my father in Tennessee, I also made a quick overnight trip to see my father- and mother-in-law in southwest Georgia. Hunter and Brenda were living in the Atlanta suburbs when I first met them thirty-two years ago, but from our first conversation I understood that Hunter’s heart was in the rural community where he was born and raised. As soon as he had the opportunity, he left suburbia and built a house in the country only minutes from the farm he grew up on. Living in this still rural community, Hunter sees reminders of his past in every direction. The church where his family worshipped (established in the 1830s) is a mile away. The school where his friends and neighbors all attended and his mother taught is just down the road. His best friend from childhood lives across the highway. As we drive to dinner, he tells me who is buried in the cemetery off the road, explains who used to own the abandoned store we just passed, points out the house where the president of the senior class of 1956 still lives. In Hunter’s world, so different from my own, the past is a tangible frame of reference for the present. In The Spiritual Practice of Remembering, Margaret Bendroth observes that another reason that we disregard the past is that we simply don’t think of it as real. As our communities become revolving doors—ever-shifting conglomerations of strangers—we lose the sense of physical connection with a personal past. The generations that have gone before us become abstractions. It becomes easier to ridicule them and, eventually, to ignore them. Driving home, I began to wonder whether the alienation that we feel from the past is inseparable from the isolation that we feel in our present. Surely the two are reinforcing. After all, in addition to a shared love, isn’t a shared history one of the things that characterize our richest and most rewarding relationships? Might our rootlessness be reinforcing our present-mindedness? I welcome your thoughts. Back in touch in a bit. At its best, historian David Harlan tells us, history can be “a conversation with the dead about what we should value and how we should live.” The bad news is that most of us live our lives “stranded in the present,” to quote historian Margaret Bendroth. What is worse, we like it that way. I’ve been thinking of this a lot as our already interminable presidential campaign season proceeds. A lot of politically active Americans claim to venerate our nation’s past, but I see almost no evidence that anyone’s listening to our ancestors. I love Adams’s exhortation on multiple levels. It exposes our relentless present-mindedness and individualism and calls us to a new kind of connectedness that transcends generations as well as geography. Adams reminds us that we live in the flow of time, part of a larger story that began before we were born and will continue long after we die. Adams’s exhortation is also a call to humility. There is an arrogance to present-mindedness that C. S. Lewis rightly labeled “chronological snobbery.” By challenging us to recognize an obligation to our forefathers as well as our posterity, Adams is telling us (among other things) to open our eyes and get over ourselves. Stop patting the past on the head and be open to the possibility that we need to learn from it instead. Finally, I find that Adams’s words perfectly capture my understanding of the value of history: we study the past to live more wisely in the future. And this means that we cannot begin to honor our obligation to our descendants until we learn to listen more closely to our ancestors. In the spirit of Adams’s plea, from time to time between now and election day, I think I’ll share quotes from our past worth chewing on during this contentious political season. My goal is not to be overtly partisan, and you can make of them what you will. Let’s start with a quote from the Federalist Papers, a series of eighty-five essays penned primarily by Alexander Hamilton and James Madison in 1787 and 1788 to rally support for the newly proposed Constitution. The Federalist Papers are not an infallible source of wisdom, but they’re one of the best windows that we have into the values of the original framers of our Constitutional system. 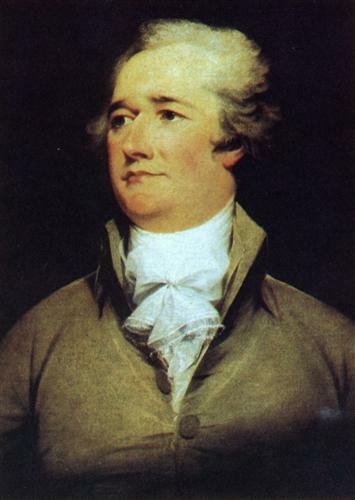 Alexander Hamilton sat for this portrait by John Trumbull in 1792. We, upon many occasions, see wise and good men on the wrong as well as on the right side of questions of the first magnitude to society. This circumstance, if duly attended to, would furnish a lesson of moderation to those who are ever so much persuaded of their being in the right in any controversy. And a further reason for caution, in this respect, might be drawn from the reflection that we are not always sure that those who advocate the truth are influenced by purer principles than their antagonists. Ambition, avarice, personal animosity, party opposition, and many other motives not more laudable than these, are apt to operate as well upon those who support as those who oppose the right side of a question. In sum, Hamilton was conceding at the outset that there would be intelligent and honorable individuals on both sides of the coming debate. And what is more, some on the “right side” would have dishonorable motives. This is a far cry from business as usual in 2016, isn’t it, where presidential candidates denounce one another as “liars” and “con artists” and train their followers to see the opposition as either malevolent or stupid. Hamilton went on to predict that partisan firebrands would strive to prove “the justness of their opinions, and to increase the number of their converts by the loudness of their declamations and the bitterness of their invectives.” Sound familiar to anyone? My arguments will be open to all and may be judged of by all. They shall at least be offered in a spirit which will not disgrace the cause of truth. Sounds like an approach worth recapturing. Theodor Seuss Giesel was born 112 years ago today, and in honor of his birthday, I thought I would share my all-time favorite “Dr. Seuss” quote. 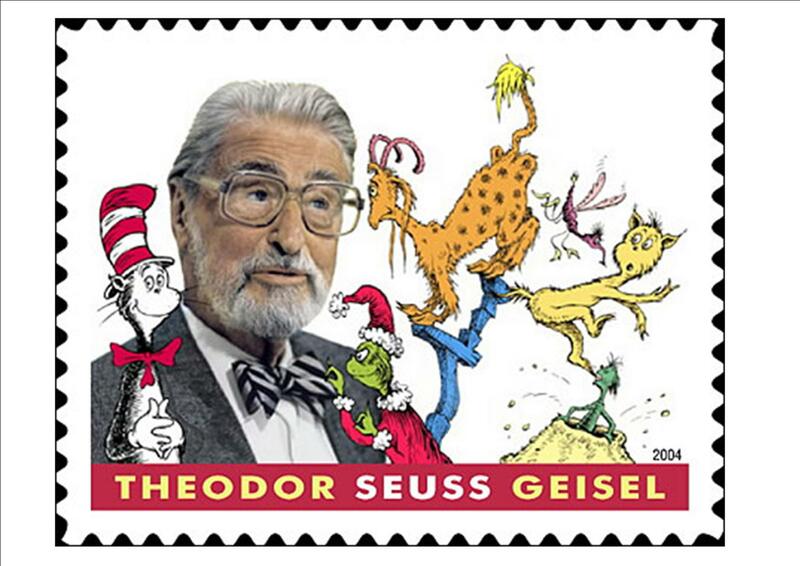 It’s not from one of his best known works, like The Cat in the Hat or Green Eggs and Ham or Horton Hears a Who. Actually, it comes from the only college commencement address that Giesel ever delivered. In 1977, at age 73, Giesel was invited to address the graduates of Lake Forest College, in Lake Forest, Illinois. After being introduced to the assembled throng on this august occasion, Giesel rose and delivered a poem he had composed specially for the event. He made no other remarks, but simply returned to his seat–roughly thirty seconds after coming to the podium. I think Uncle Terwilliger would have understood. One of the best reasons to study history is to equip ourselves to think with greater discernment about our own day and time. At its best, it helps us in being careful what we swallow. That’s not a bad thing during an election year.